It was a broken iPad that led Michael Kabat to become an entrepreneur and philanthropist. 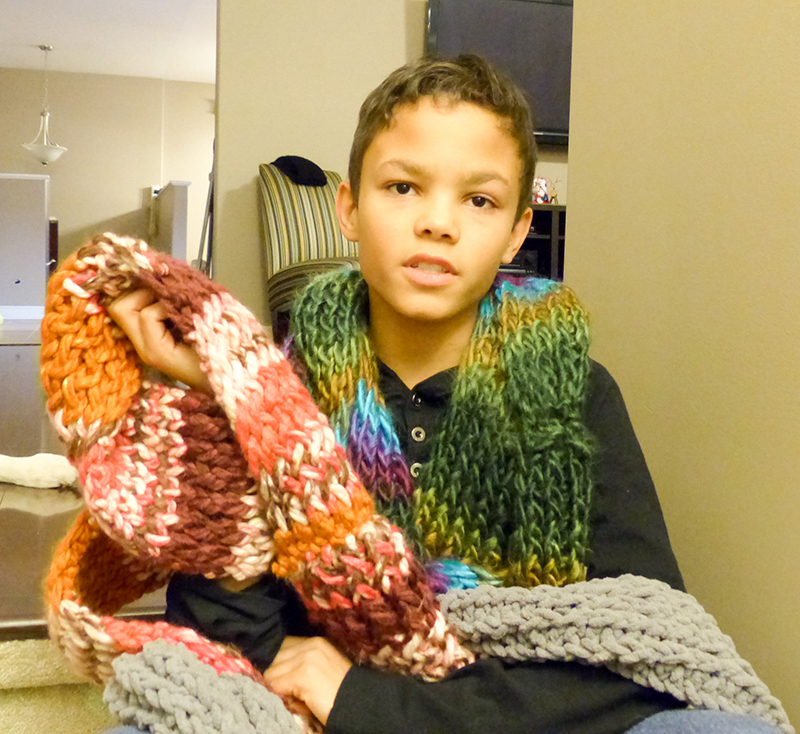 Informed by his mom he’d need to pay half the $150 repair bill, the 11-year-old Sarnia boy taught himself how to knit infinity scarves. He did it by watching a YouTube video and then launched a business. He began by selling to family and friends and when that took off he looked for a way to expand. Kabat, 10 at the time, walked alone into the children’s clothing store Esby and Soph and made a sales pitch. For providing retail space the store would get $2 from every $12 scarf sold, he said. The store’s owner had a better idea. “She said to me, I would rather have the money go to charity,” Kabat recalled. Anja Christensen, who started Esby and Soph and teaches business and entrepreneurship at Lambton College, was struck by Kabat’s drive and smarts. She even arranged for her photographer to shoot professional ad shots for his Facebook page, The Young Yarner. “It was very exciting to see someone, especially that age, getting into it. He’s just a beautiful person and I was very happy to help him out,” she said. Over a period of about 10 weeks between October and early December Kabat sold 105 scarves, and raised $210 for charity in the process. The Grade 6 student at Rosedale public school chose Noelle’s Gift as the recipient, a charity founded in memory of Sarnia kindergarten teacher Noelle Paquette. 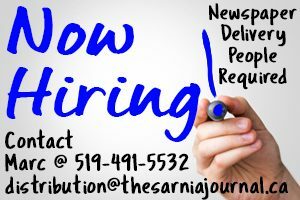 Christensen, who has since taken on a business partner and moved the store to 155 Front St., said she’s proud of Kabat. The Young Yarner said he’s catching up on back orders but does plan to make more scarves this year. He also got a sewing machine for Christmas. Next up, he said, learning to make quilts.